First off, thanks goes out to Sniper Central Forums member Caver101 for providing the off the shelf FN Patrol Bolt Rifle with 20″ barrel for review. A lot of hype has been made about the new FBI HRT contract with FN Herstal for their new tactical rifles (a special version of the FN SPR rifle line). The FN was chosen after extensive testing between competing models. The PBR rifle reviewed here is a lower end tactical rifle that was intended to be carried in patrol cars (hence the name). But does this rifle have the ability to be used as an everyday tactical rifle? If so, it would be in direct competition with the Remington 700P at the $700-800 tactical rifle range. One of the first things people notice is that the action looks very similar to a new Winchester M70 with the new pre64 claw extractor. Well, the reason why is because that is exactly what the action is. So operation is the familiar and if you like the Winchester action, then you will like the FN action. It is very smooth operating and cycles as you would expect. The overall finish of the rifle is probably average, but not more. This test rifle had about 300 rounds through it when we received it, and the wear was evident on the bolt, but operation and everything functioned perfect. The magazine holds four rounds, is well made, feeds very smooth and worked without a hitch. (Which is more than can be said for most Remington dbm’s). The only thing I did not like was that you cannot easily feed just one round at a time in the rifle. You had to load each round into the magazine before being able to chamber it. Detachable magazines are a nice feature for tactical shooting for when a rapid ammo change is needed as the situation changes (i.e. switching to glass busting rounds, etc). 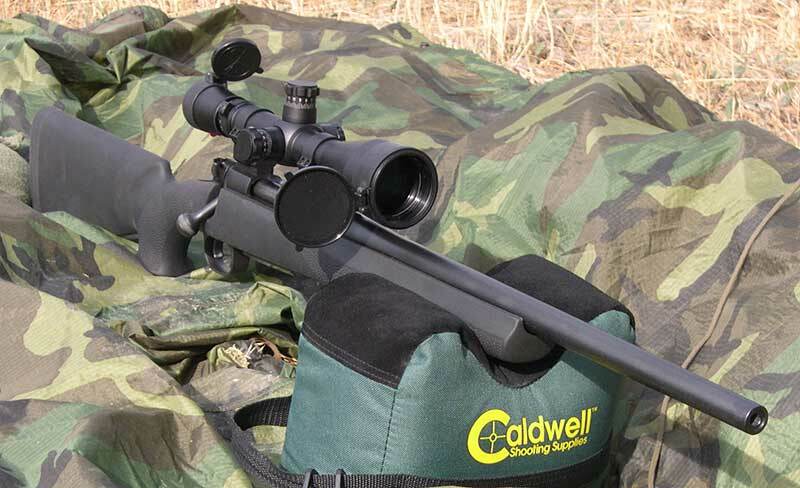 The stock on the rifle is a Hogue Overmolded with an aluminum pillar system. The stocks have a soft rubber overmolding that provides exceptional grip and are generally comfortable to use. But the fit and finish of the stock is not up to the same standards as the HS stocks are on the Remington 700P’s. The pistol grip also was not very comfortable to us at SC. It could really benefit from a more vertical profile instead of the sharp curve, and more girth in the palm area would be nice also. The gaps between the free floated barrel and stock are fairly large, which is fine, but looks a bit sloppy. All in all, the rifle is a serviceable package in terms of ergonomics and works well in all environments. At the range the rifle performed well. 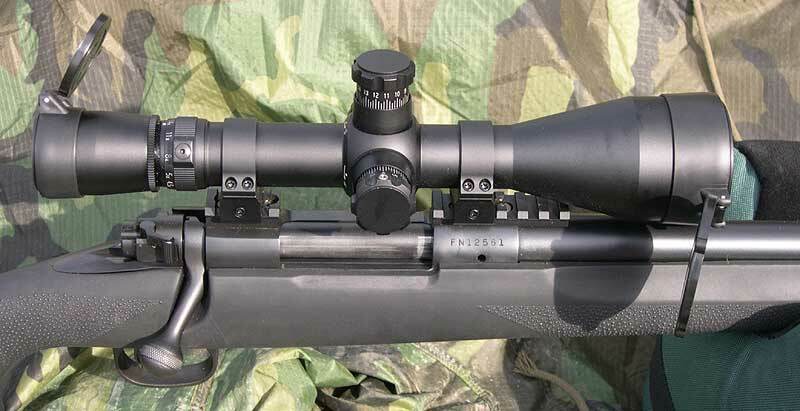 The rifle had a Leupold Mark 4 LR 4.5-14x50mm M1 scope mounted on top, which is a fantastic scope, one of our favorites, which gave the rifle the best opportunity to perform well, and it did. We fired both federal gold medal match 168gr and PMC silver line match 168gr through the rifle. It seemed to favor the PMC but performed well with both. 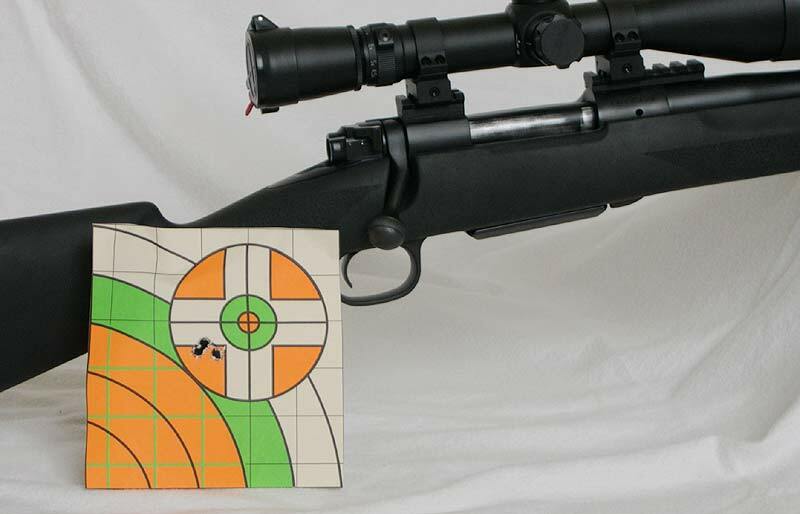 The overall average group size at 100yards for all ammo and groups was 0.93″. This included some not so good shooting on our behalf. The best group of the day was a .401″ center to center group pictured above. This was fired with the PMC match ammo. Is the rifle a .5 MOA rifle? No, its not, at least not the day we were using it. We consider it a .75-.80 MOA rifle, and that is pretty good for a mass produced off the shelf patrol rifle. Overall the rifle is a good solid package. Would I take it over a 700P? Personally, probably not. I like the shape and fit of the HS stock better and you get about the same accuracy for a little less money. The overall fit and finish of the PBR seems a bit less than on the Remington. But, it is available in more barrel lengths and the stock does have some merit in terms of its use as an all weather stock. The rifle performs well and shold be considered when deciding on a tactical rifle in this price range. Can sombody say how mutch i may give for a second hand FN siper 308? Do you know what model FN it is? It’s a PBR (patrol bolt rifle), and my results with hand loaded ammo puts this rifle in a much higher class. I can run sub .5 moa groups all day every day. Good luck finding a new PBR as I don’t think they are still in production. However if you can find one buy it. If you find two, please email me and I’ll buy the second Lol. Good luck and happy shooting.